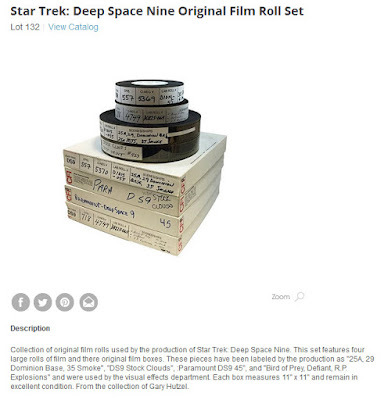 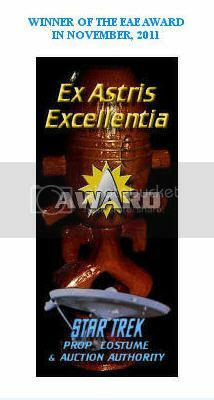 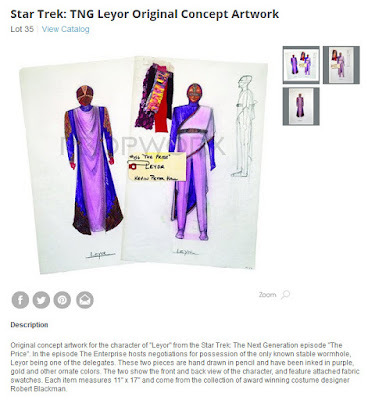 On Saturday, June 4, 2016, starting at 10:00 am Pacific Time, the Propworx Star Trek Auction VIII will take place in a live, online bidding session at LiveAuctioneers.com. 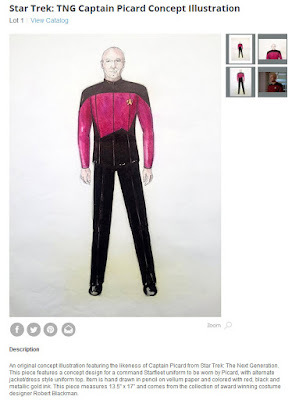 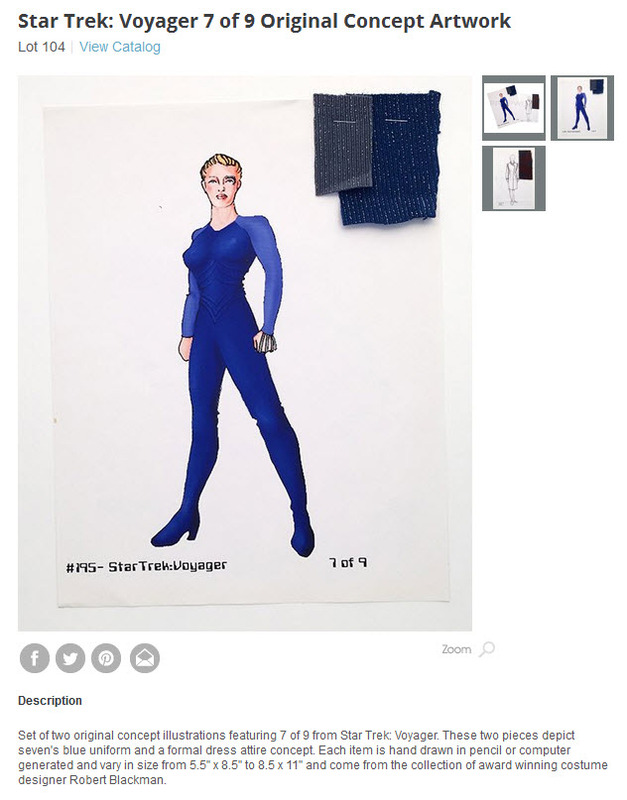 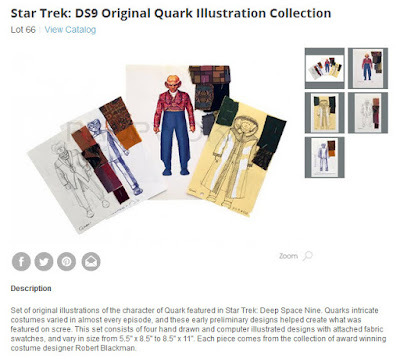 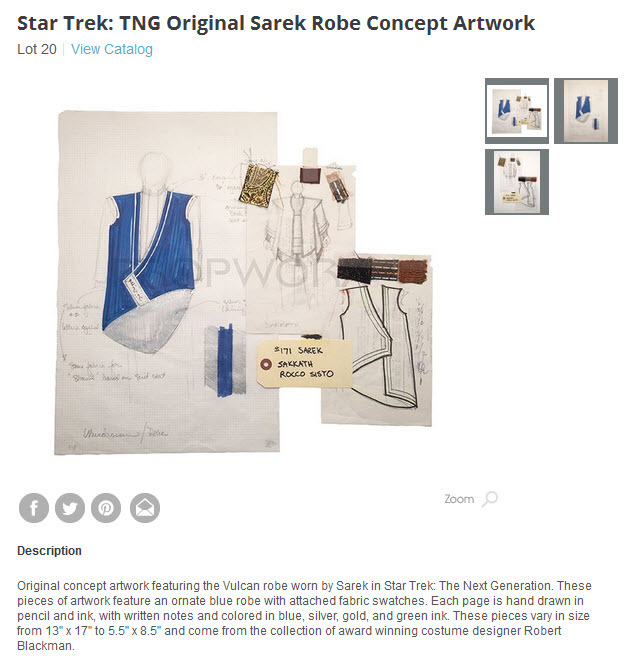 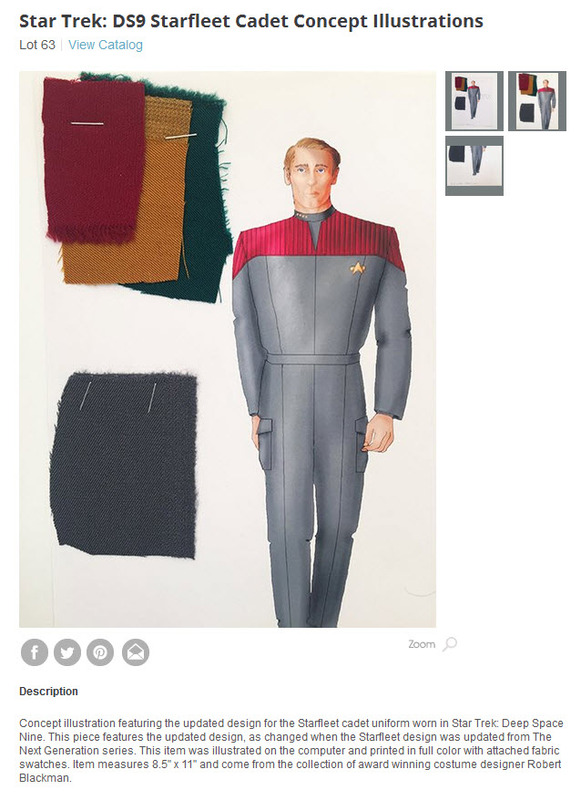 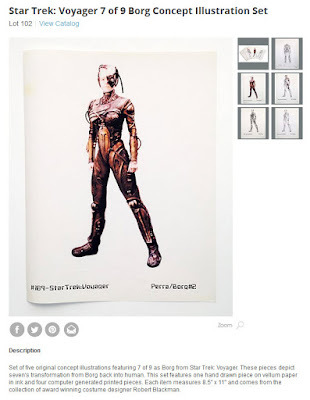 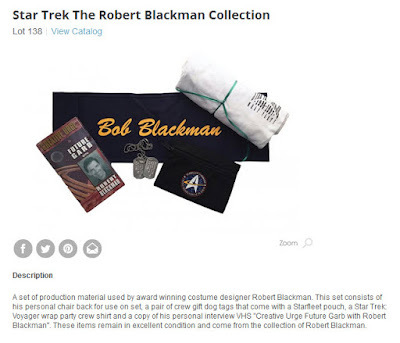 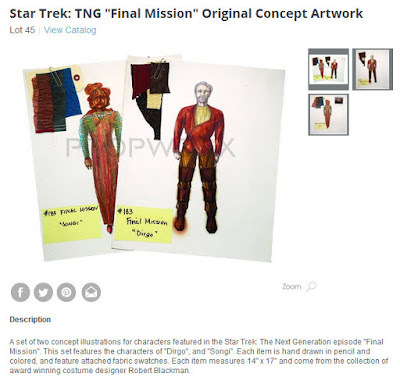 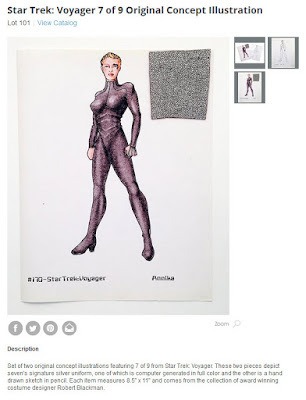 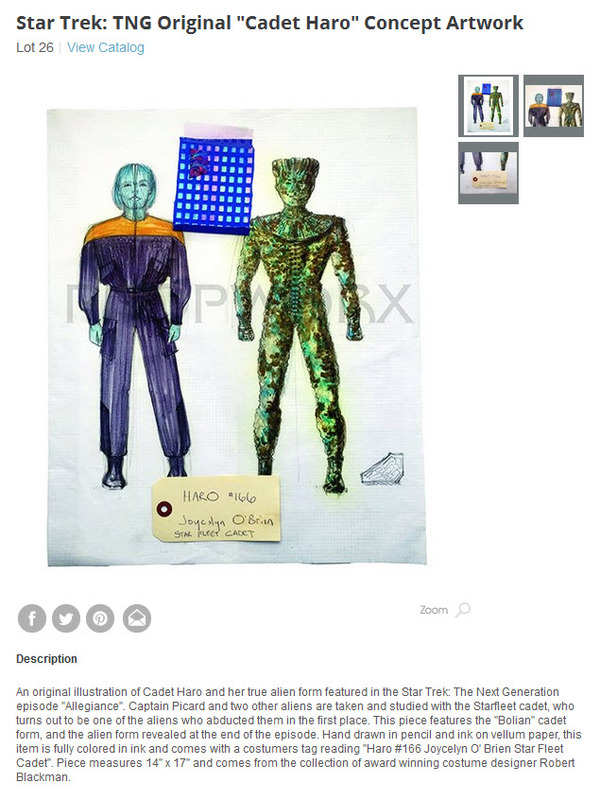 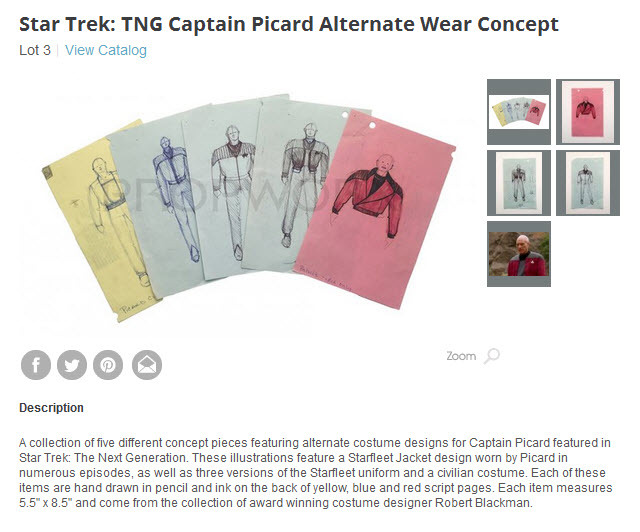 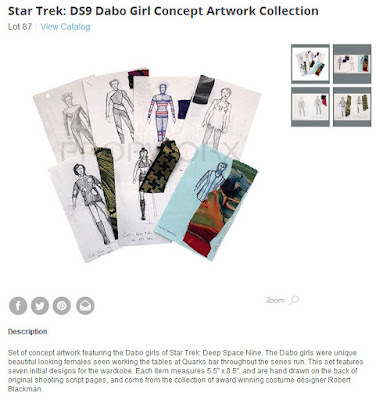 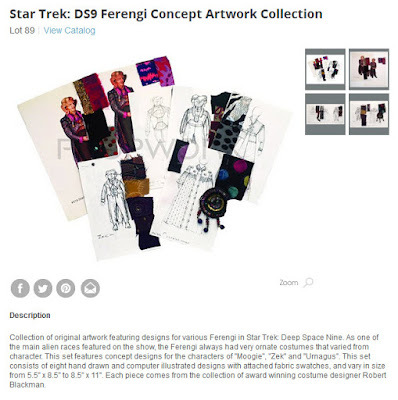 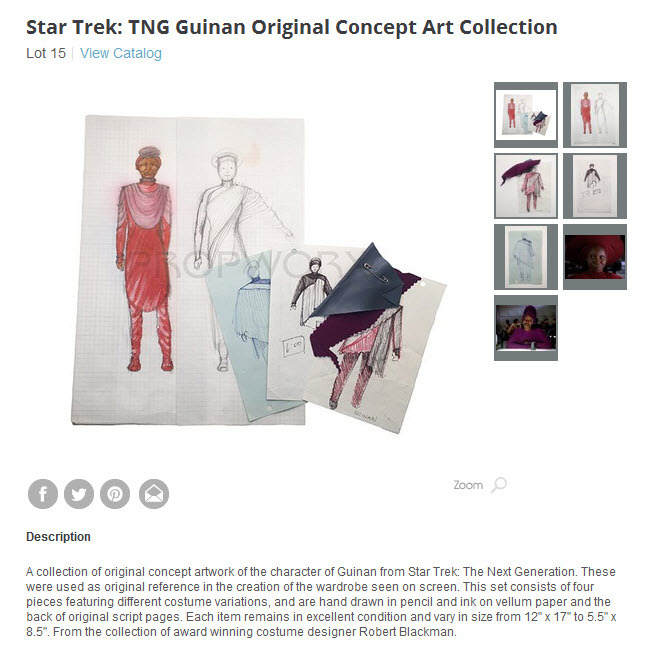 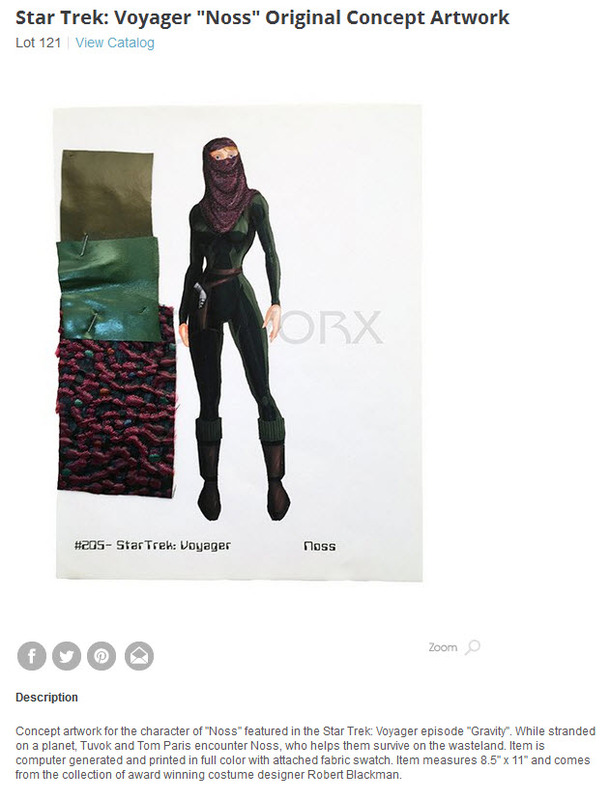 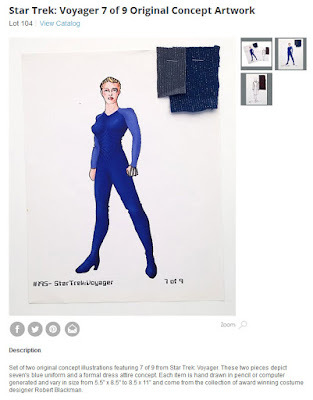 A total of 152 lots of Star Trek memorabilia will be offered in the sale, which is highlighted by 131 lots of beautiful concept artwork created for the Star Trek: TNG, DS9 and Voyager television series by Emmy Award winning Star Trek Costume Designer Robert Blackman. 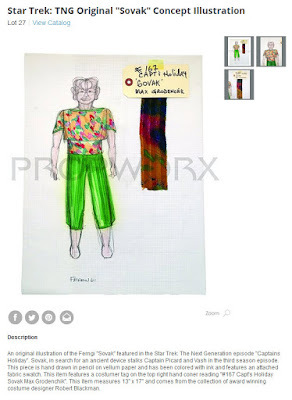 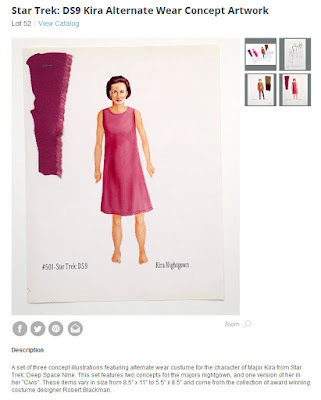 Many of the individual lots in The Blackman Collection feature multiple pieces of artwork that often exhibit rich and vibrant colors and, in the majority of cases, Mr. Blackman has attached swatches of fabric to his drawings that represent samples of the actual material used by the Costume Department to fabricate the design for production. 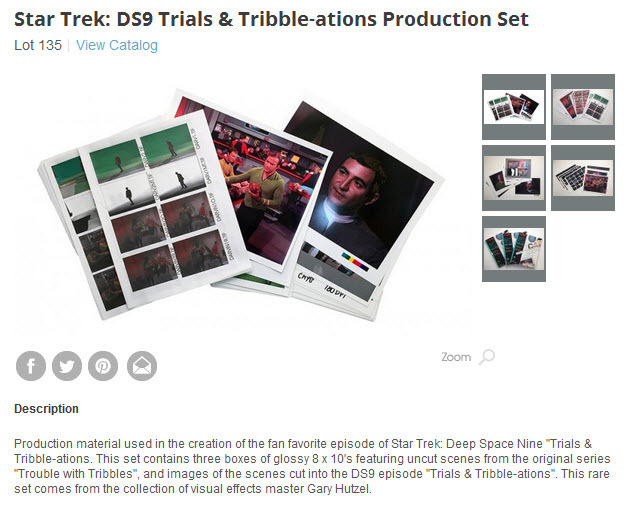 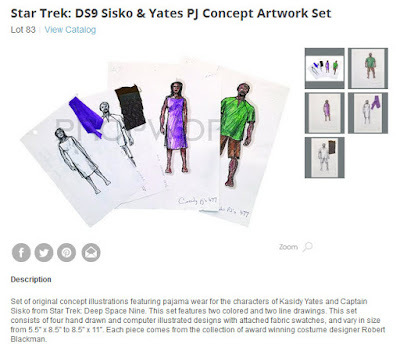 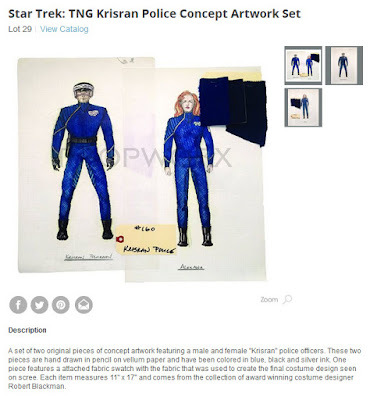 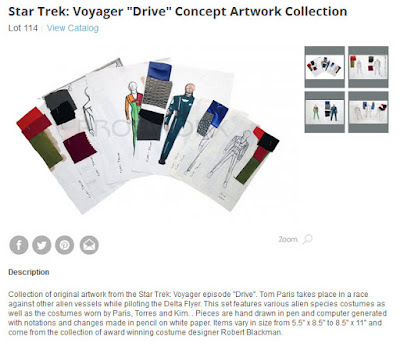 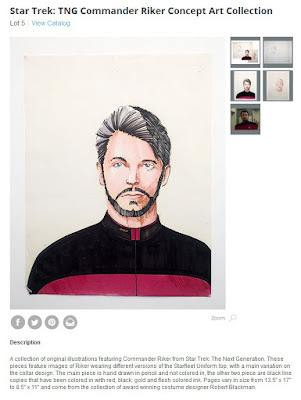 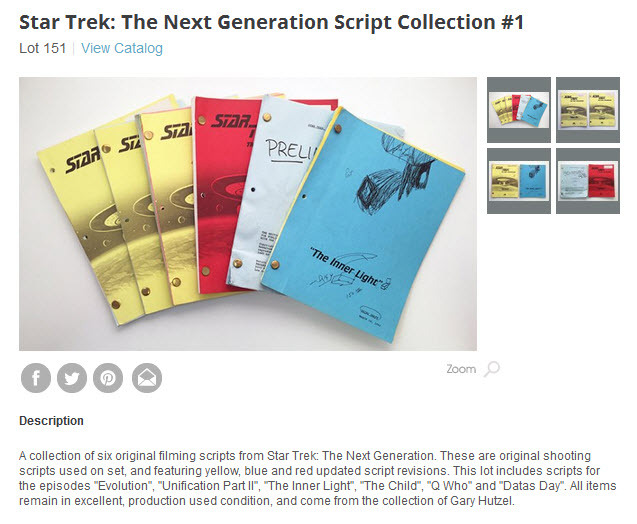 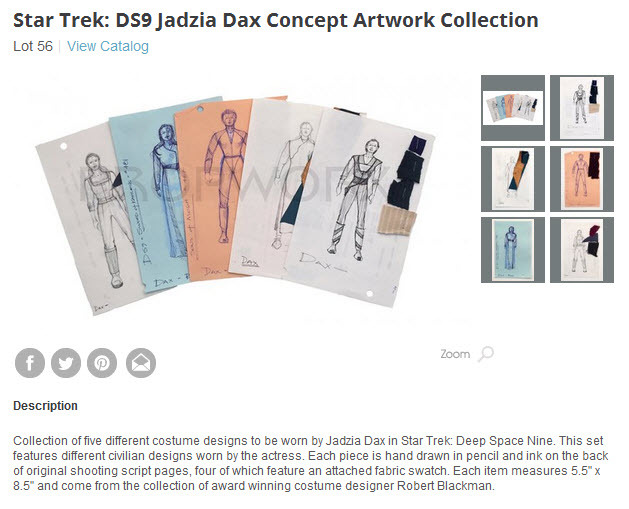 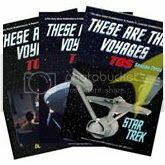 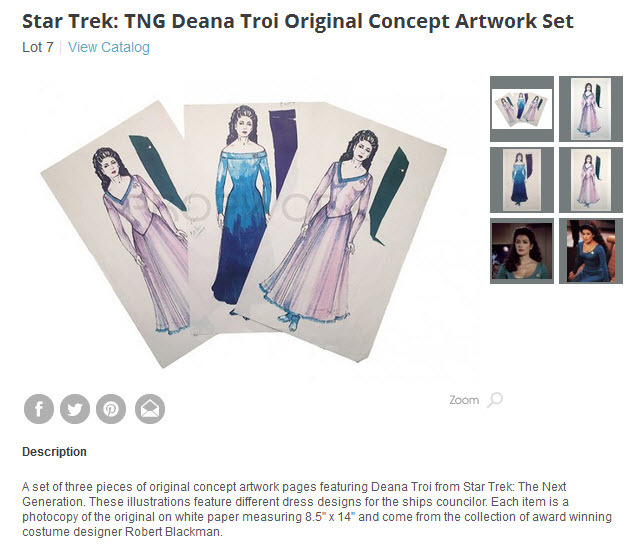 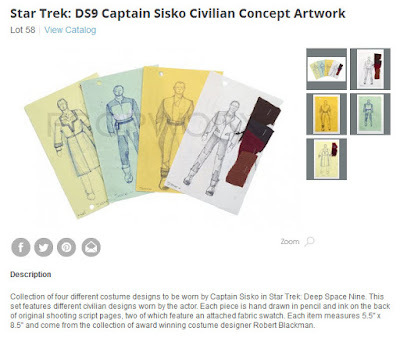 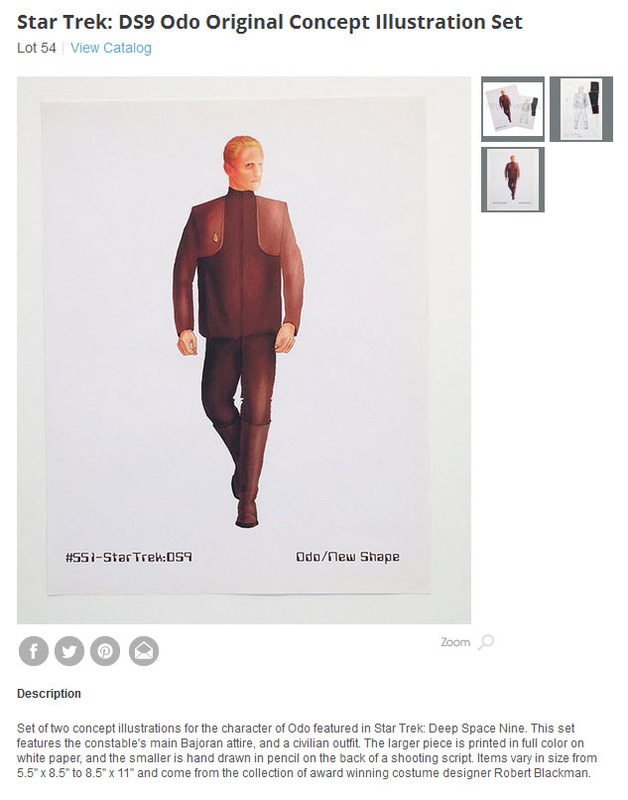 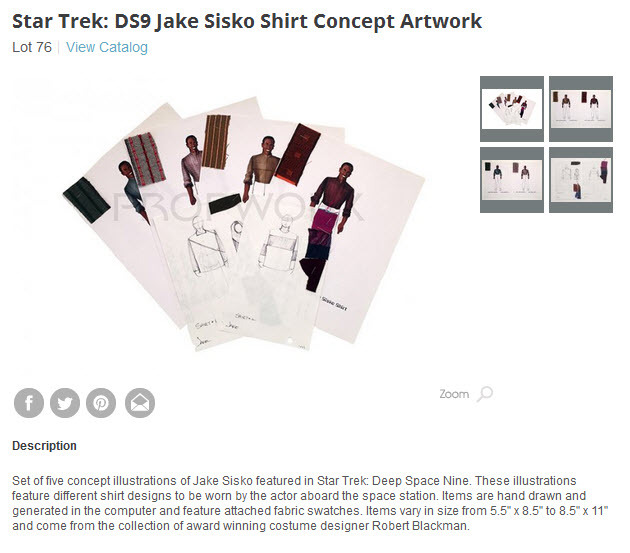 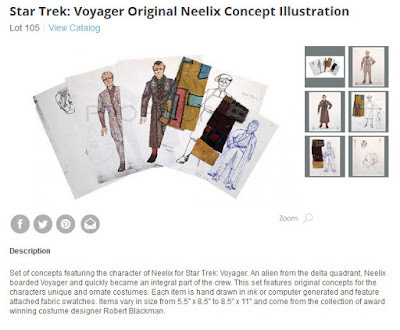 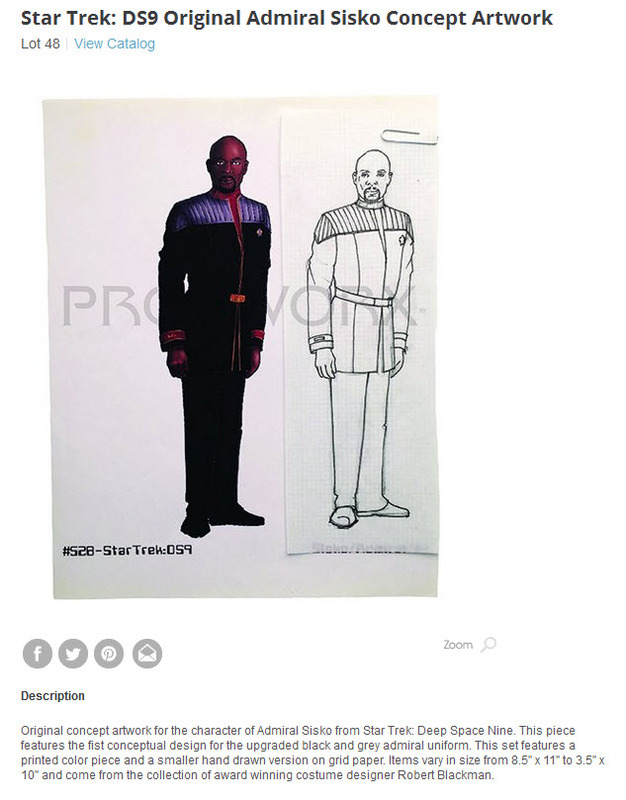 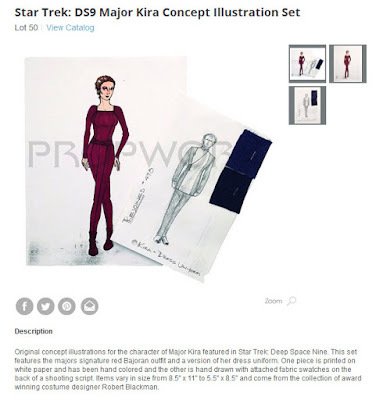 All of the lots of concept artwork feature low starting bids of either $50 or $100, which might prove to be a very affordable way for collectors to add many attractive pieces of Star Trek history to their memorabilia collections.